1 Events Media, the host of the 2018 E3 Business Awards, has named the 77 finalists that will be competing for this year’s 16 award categories. 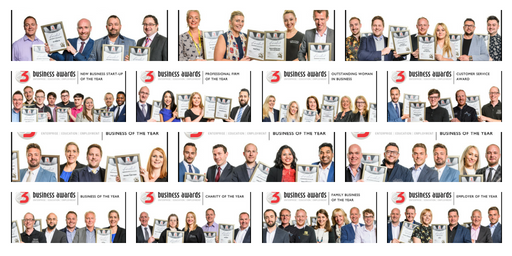 The results will be announced at the E3 Business Awards Dinner, which will take place on Thursday 12th July 2018 at the Macron Stadium in Bolton. Launched in 2013, the E3 Awards are now in their sixth year. Designed to be the North West’s most inclusive business awards, they celebrate diversity and outstanding achievement on the part of companies, charities, social enterprises and individual entrepreneurs. “The E3 Business Awards are now an established part of the regional business calendar,” said 1EM managing director Mubarak Chati. “Every year, the number and calibre of applicants has risen; finalists in this year’s event have risen to the top a pack that was almost 300 strong. Tickets for the awards dinner are now available.